Today we are very proud to announce the availability of our IRCAM Lab “TS” software (v1.0 for Mac OS X). The PC version will be available in the coming weeks at no extra cost ! “TS” is the first application that we launched under the brandname “IRCAM Lab” which Plugivery.com has been working very closely as an active partner with Ircam. IRCAM Lab TS will be sold at the suggested retail price (MSRP) of $249. The good news is that we have decided to launch “TS” at the INTRODUCTORY price of ONLY $99. A fully functional 15 day demo version is available from our official distributor’s website. This is your opportunity to discover all the power of this software that will transform everything you give it. “TS” stands for “Transpose/Stretching”. It is the result of years of research and development based on our phase vocoder engine (SuperVP) that powers our flagship application “AudioSculpt”. “TS” is a incredibly impressive time stretch, pitch shifter, remix, formant, noise tweaker that will unleash your creativity with its powerful algorithms. “TS” is a powerful stand alone application that revolutionizes the way audio signal can be processed. 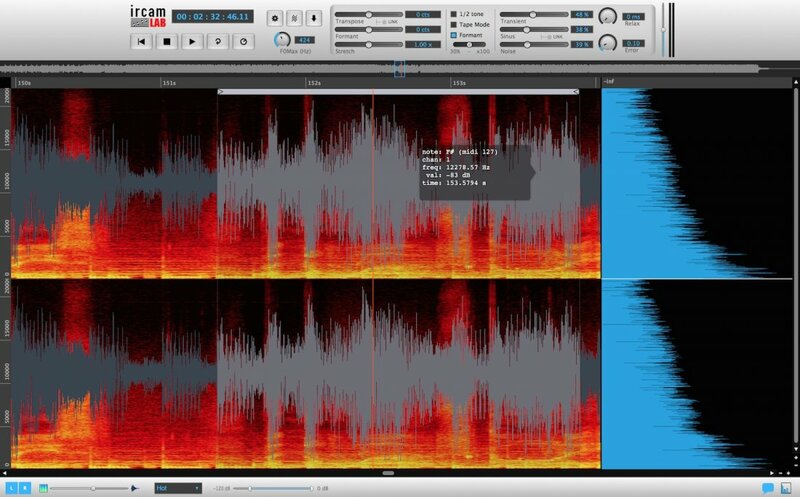 Unlike other time stretching applications, “TS” uses Ircam’s advanced phase vocoder engine (SuperVP) ready to satisfy the most demanding needs of audio professionals. IRCAM’s phase vocoder technology provides high-quality sound processing in real-time and offers amazing results even when used to transpose or stretch audio waveforms radically. It is able to transpose and/or pitch a WAV or AIFF audio file with extremely accurate results and minimal artifacts making it possible to process professional recordings with transparent results. A life saver for audio engineers and broadcast technicians ! IRCAM Lab “TS” also includes real time Midi remote control and a live editing export feature. This enables users to export totally original sounds created in “TS” as easily as clicking the mouse. A DJ’s dream come true! TRY it, transform your sounds, try new tempos, new pitches, it is all possible with a fidelity you won’t believe! An official IRCAM Lab forum has also been created at Plugivery for you to post pre sales questions, testimonials, user feedback, bug reports, etc.